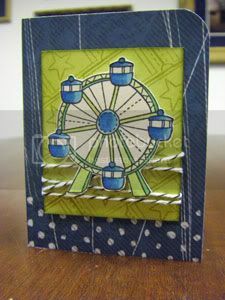 I am amazed by the bevy of sensational cards found on the Lawn Fawn CHA Challenge. I hadn't a prayer of winning, but it was such a great experience and well worth it to see all the talent out there. If you want to see some awesome Lawn Fawn stamping in action check in out. For the winners check them out HERE. I thought I would share a couple of older cards with you. One was a get well for a little cousin who got his tonsils out a while back using Admit One (and Sophie's Sentiments inside). 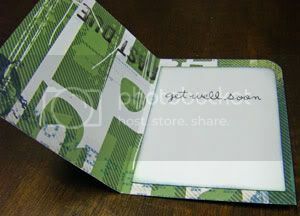 I used some older paper from the Get Happy collection by Cosmo Cricket that is great for boys and men. I made the ticket paper (look familiar?) that was right behind the Ferris wheel. 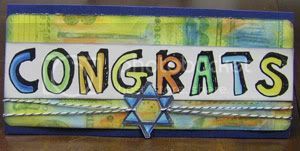 The Congrats card was for yet another cousin who had a Bar Mitzvah in August. The background was paper I created using stamps from the Daily Junque collection by House of 3 produced by Pink Paislee that I then watercolored over using Caran d'Ache watercolor crayons that my friend Liz Allen introduced to me and bought me for my birthday a couple years back. They are extremely fun to play with. 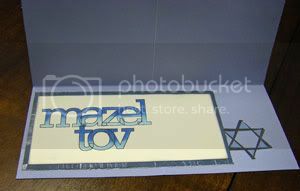 The "CONGRATS" letters for the Bar Mitzvah card are Signature Alpha by Kitty Designs, but they remind me a little of Quinn's ABCs which I love yet haven't bought yet. I spelled out the word using the letters in Microsoft Word and then printed it out on Neenah cardstock so I could color them in later with Copic markers (inside I used an old, but still good alphabet stamp set from Fontwerks...I wonder whatever became of that company?). 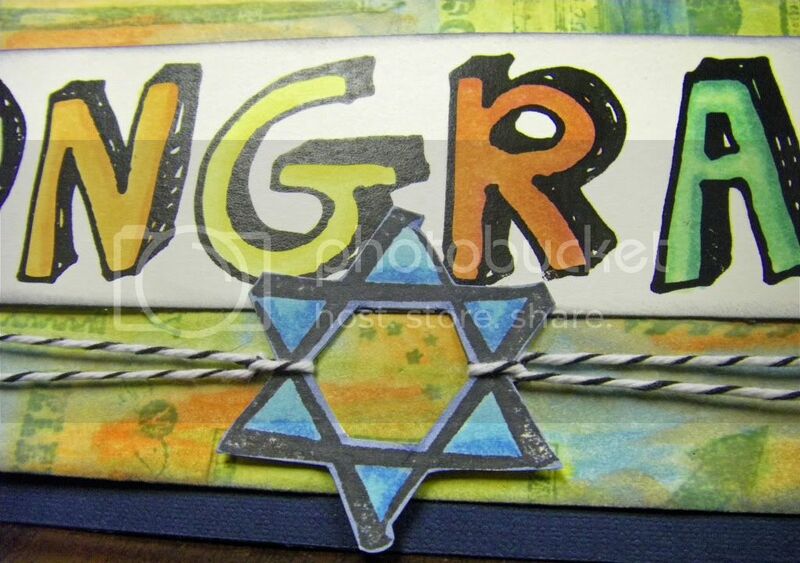 The Star of David is by DeNami Designs from way back when and it is still one I use...good design never goes out of style, right? Thanks for stopping by and have a joy-filled evening.